The Indutherm atomisation plants have been particularly designed for the flexible and economic production of small-scale metal powder batches. Traditional large-scale production plants cannot provide this economic advantage. Frequently changing alloys in production require high cleaning efforts to avoid cross contamination. Particularly in R&D or precious metal powder applications small amounts of various kinds of powder are frequently required, often also new types of alloy powder not available on the market. Especially fast developing applications like SLM and MIM require more and more specialised metal powder. 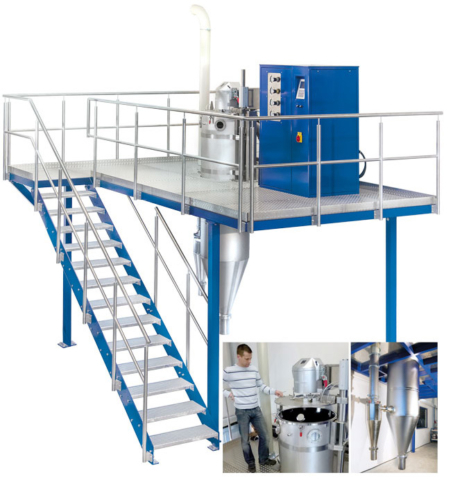 The Indutherm Atomiser are developed especially for flexible and economic production of small scale / high value metal powder batches. 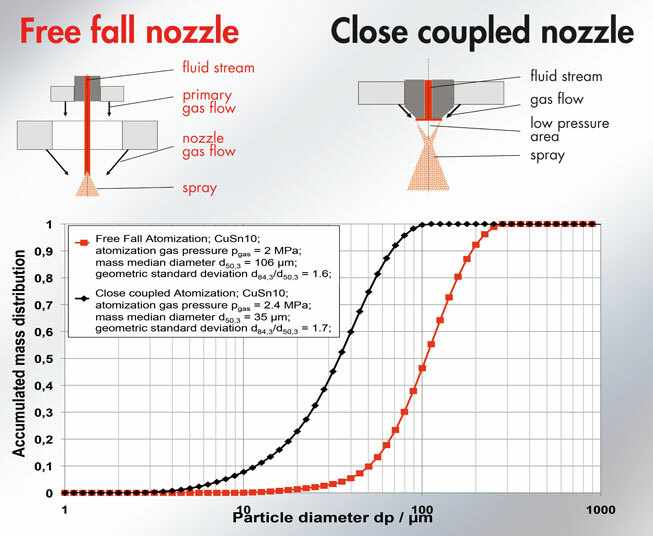 Modular availability of free fall as well as close coupled atomisation nozzles to obtain specific metal powder characteristics. Fast and easy nozzle change. 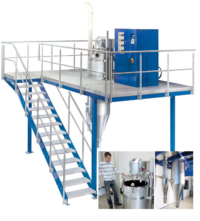 Polished stainless steel surfaces prevent powder adhesions in spray chamber, cyclone and collector – all parts are easy to clean without any residues. All machine descriptions and technical data published on this site make no claim to be complete. They are subject to change and therefore they are not basis of contract.